To defend your hair from the damage this fall, use one of these top-rated heat protectants before applying heat. 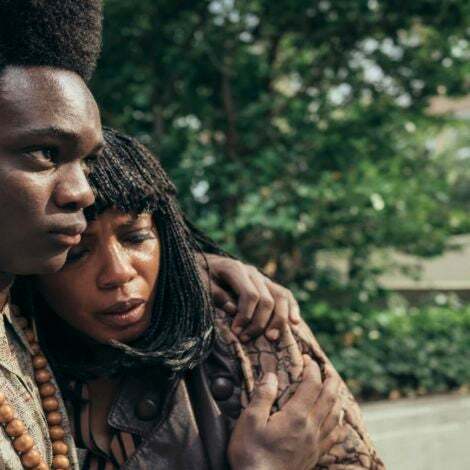 Fall is on the horizon, which means we can officially take a break from box braids. 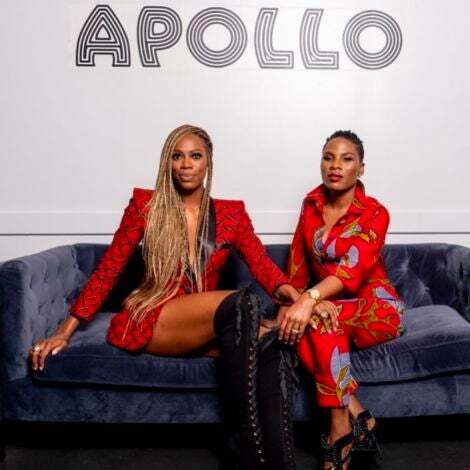 With temperatures falling back to lower digits, we can finally rock sleek undisrupted hair. From pressed ponytails to silk press, the options are smooth, silky, and endless. And while these aren’t protective styles per se, they’re still pretty safe when using a heat protectant. 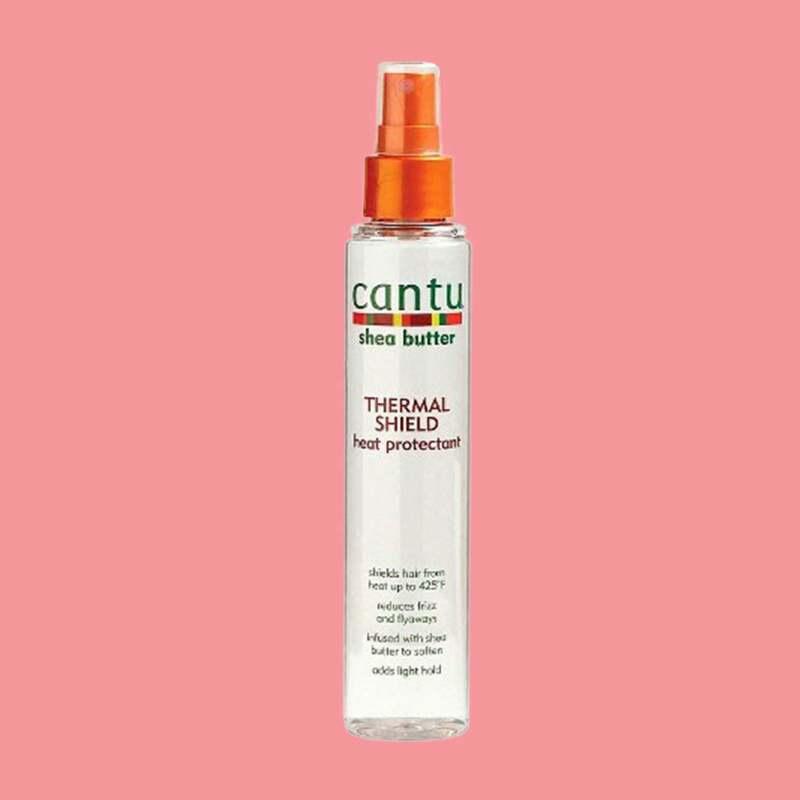 Whether it’s a serum, cream, or spray, the following nine products are a must-have for prepping your hair for heat styling and preventing singed strands. 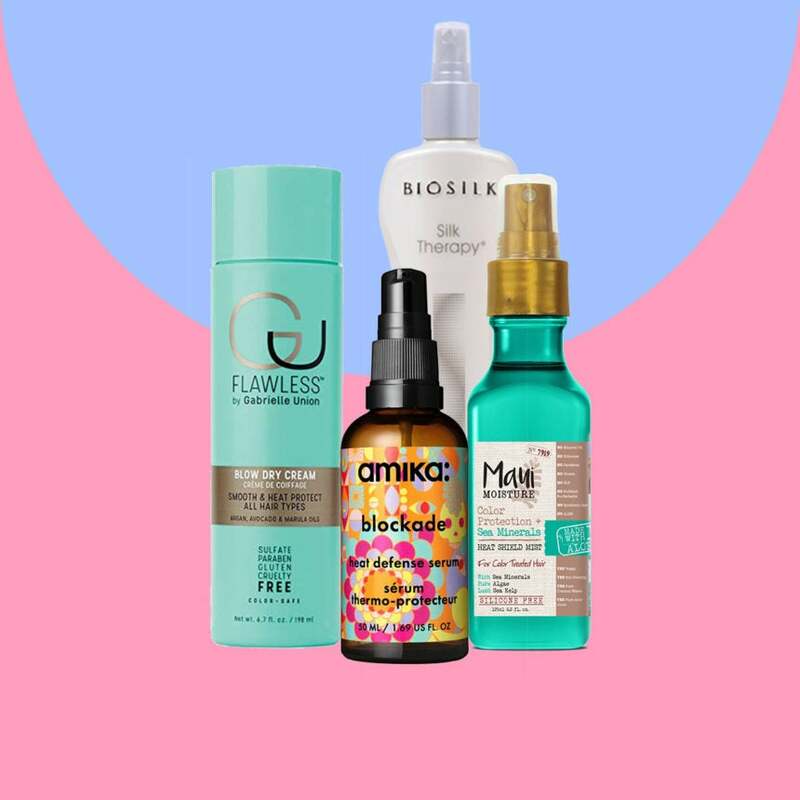 To defend your hair from the damage this fall, use one of these top-rated heat protectants before applying heat. 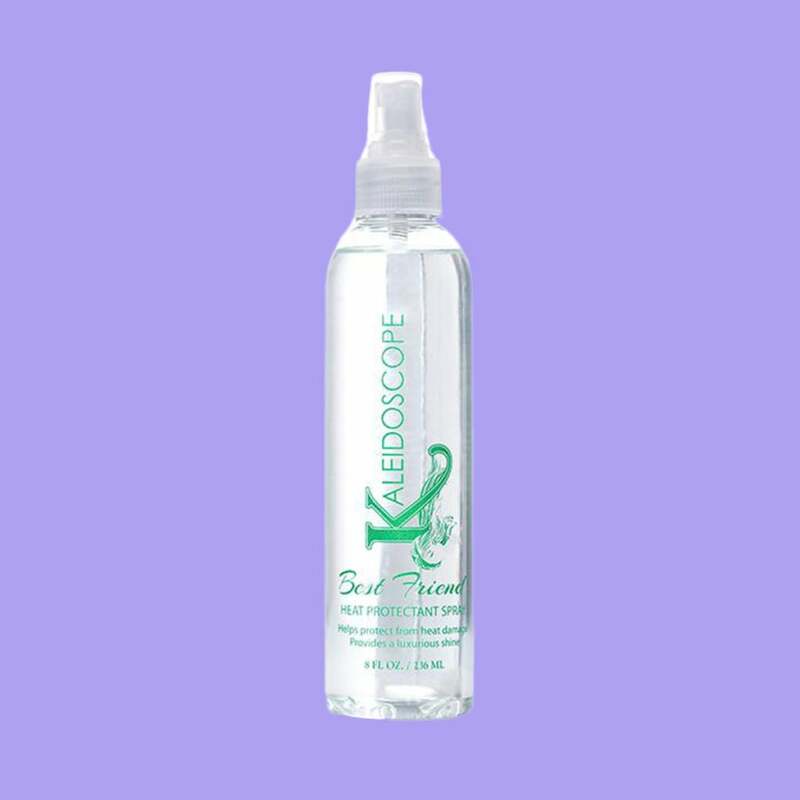 Strengthen, straighten, and soften the hair cuticle while adding a luminous glow with this coconut oil and keratin protein infused heat protectant spray. 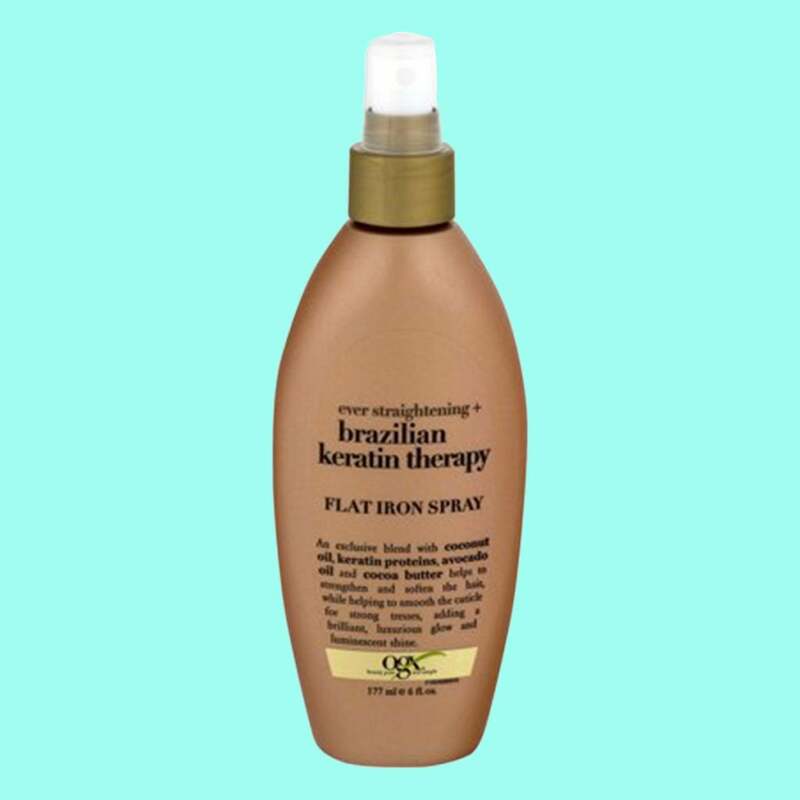 This dry weightless heat protectant is formulated with argan oil to help nourish the hair with essential fatty acids, and vitamin B5 to hydrate and leave a glossy finish. This heat protectant infused with sea mineral, algae, and sea kelp was created for women with color treated hair. 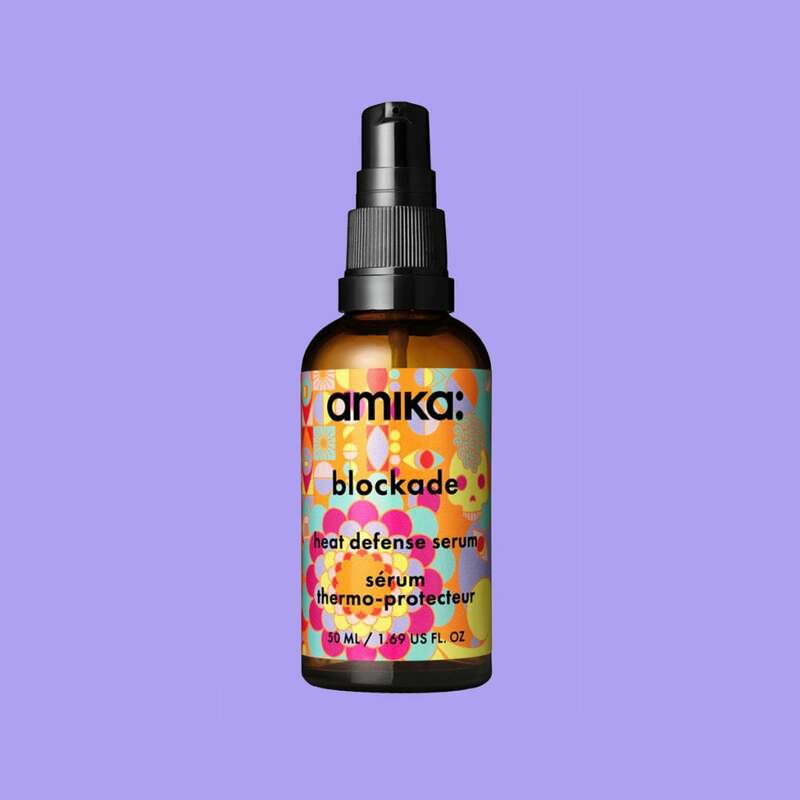 Spray it on your strands before you blow dry to prevent heat from fading your color. 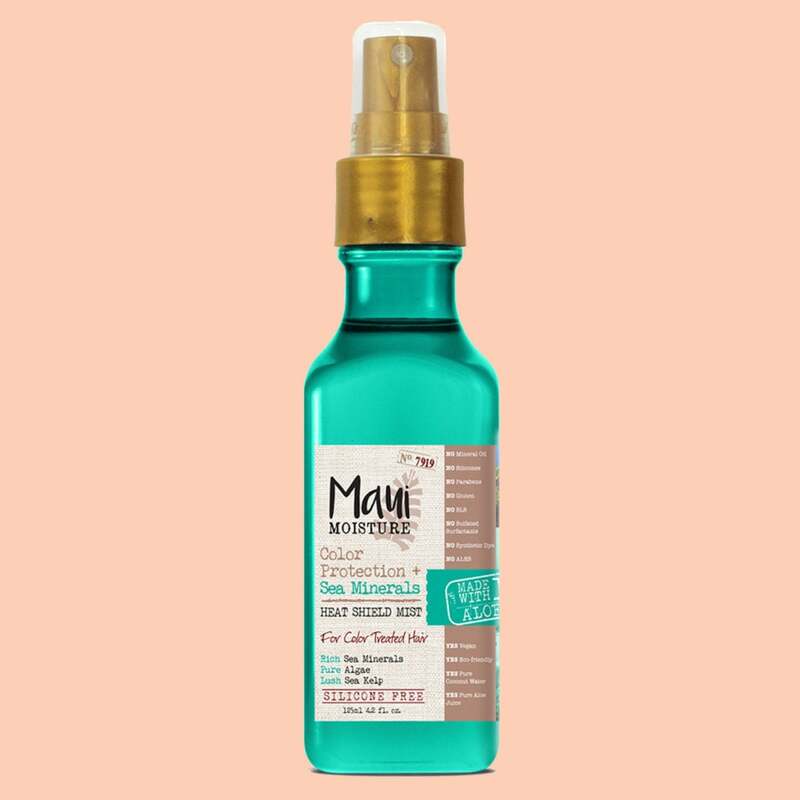 This natural heat protectant spray not only protects your strands from heat damage but it also helps to restore your hair’s natural luster. 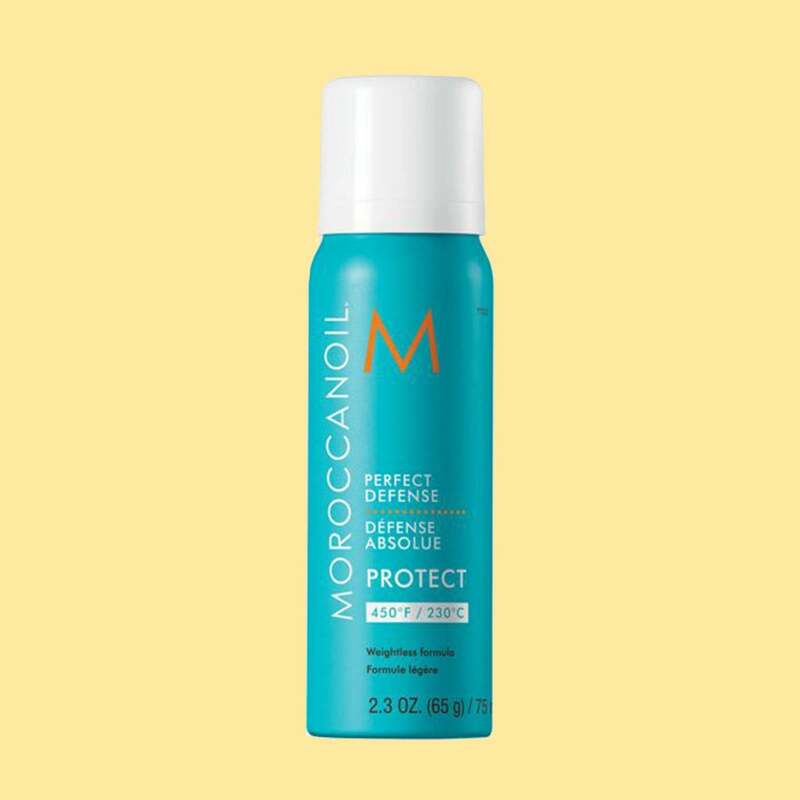 Not only does this blow dry cream detangle hair for a seamless pass through when flat ironing, but it also protects it from heat, up to for 450· F.
Infused with Argan Oil from Morocco, this heat protectant seals in exotic shine and smoothes out frizz while protecting strands from heat damage. 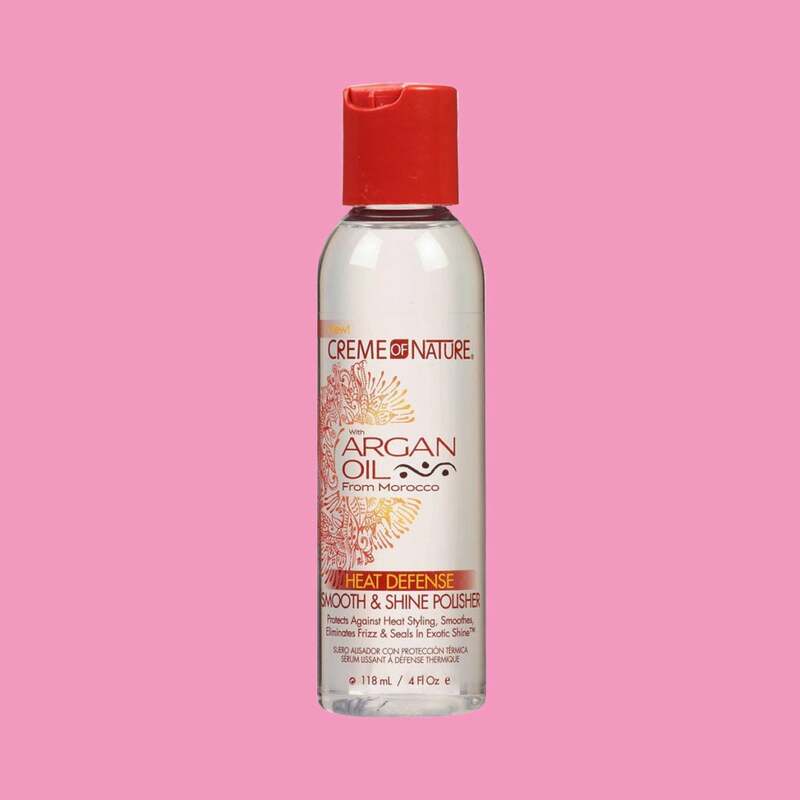 This lightweight pre-treatment is made with 100 percent pure shea butter, which is great for adding moisture to strands for smooth and frizz free results. 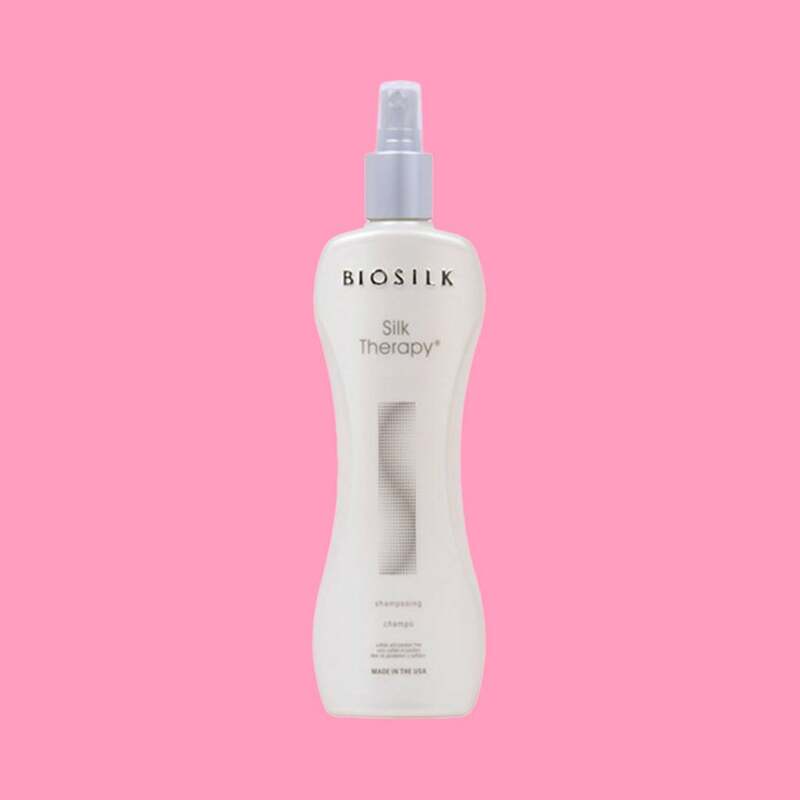 A silk infused thermal protection spray that leaves hair feeling silky with a long lasting shine. 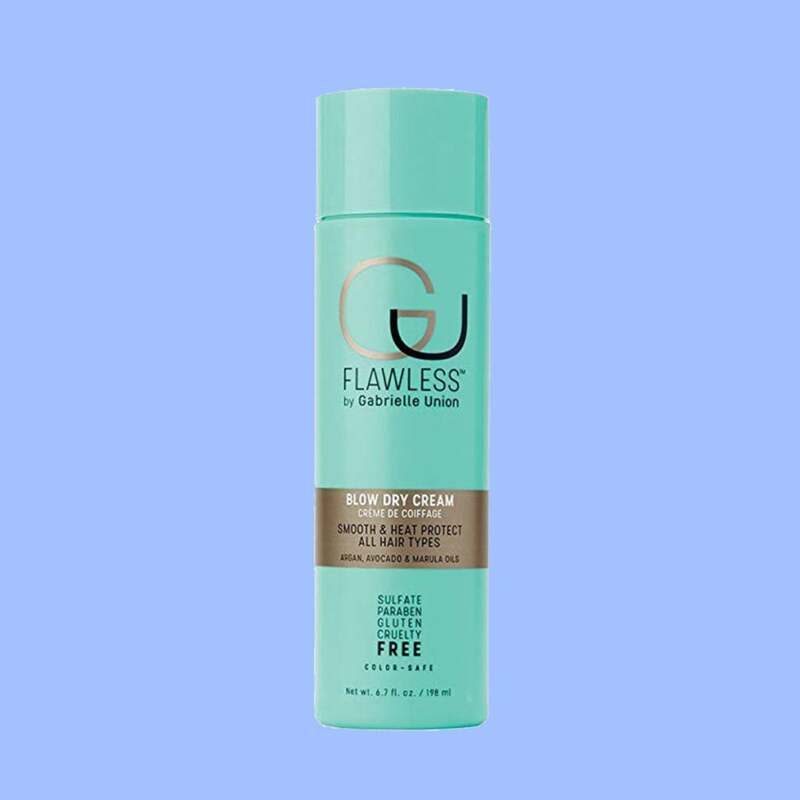 This heat protectant is formulated with cyclopentasioxane, a protective agent that shields hair against moisture loss while protecting it from thermal styling and blow drying without weighing it down.